iOS is an Operating System built by Apple Inc. for their Apple Mobile Phones. You might be aware of Apple phones & how much they are expensive. Even though you haven’t bought any Apple phone, you would be probably aware of its functions & features. Right? 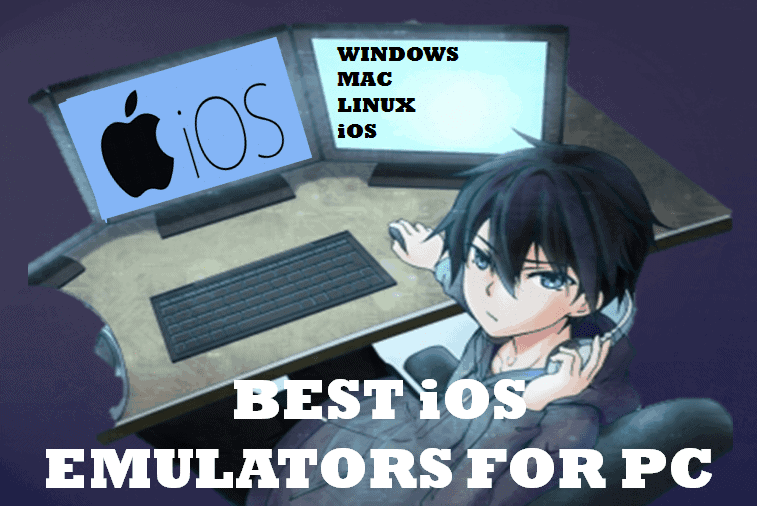 Here is some Best iOS Emulators For PC. Do you want to experience iOS or try several apps? Are you in confusion whether to buy an iPhone or iPad for this? Is transferring data between iPhone & PC hard for you too? If YES, then you are in the right place! Well, we are with a solution where you can experience iOS, transfer data & that also for FREE! 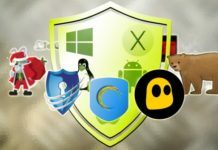 How To Run iOS Apps on Windows? As Apple phones are expensive & most of the people can’t afford it. But still, if you want to experience it than you don’t need to sell your Kidneys! Just Kidding! You just need to install an “iOS Emulator” according to your PC compatibility. What Does Emulator Basically Do? An emulator is a well-designed software used for Emulation. Emulator basically runs software’s or apps on another machine except for the ones it was originally built for. For example, An actor pretends to be someone else while acting but in reality he is different. 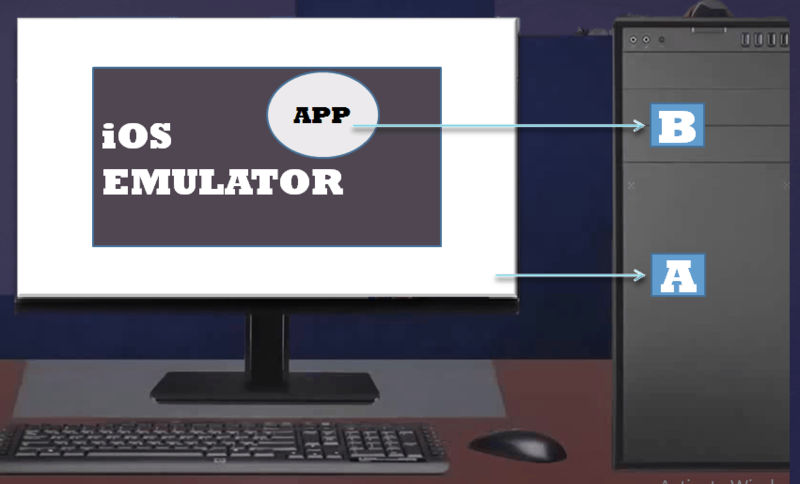 Like in the above image PC is that machine, Emulator makes iOS apps run on PC even though it was designed to run on iOS. Let PC be A & App be B. Emulator helps “A” pretend like another machine “B” in order to run an app exclusively for “B”. Emulator simply is a virtual program or software that emulates apps to run on any Platform. Emulators are based on different platforms like iOS, Android, etc. They would create iOS Virtual program/atmosphere to run several iOS Application. 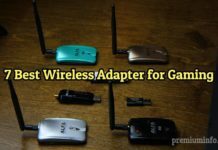 These programs don’t need any extra hardware’s to be installed, they work on existing hardware. So this makes it absolutely free! High Resolution or High-Quality games might hang (Example: FIFA Games, PES, etc). IPadian Emulator has been a popular one for a long time. The ideal feature of this software is its User Interface. The software user interface has been developing version to version. 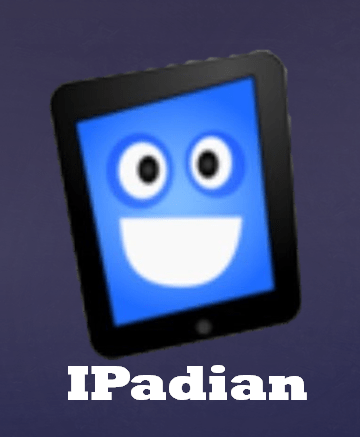 IPadian’s looks make it so realistic that you might feel that you are using an iPad. The emulator also allows you full accessibility for App Store including a download of apps & execution. There are 2 versions available: Free & Paid Premium. You can download a free trial version for basic use or experience. The free version comes with limitations but best for people who want to experience apps. You can get more features by subscribing for Paid Premium at just $10. IPadian is advertisement supported so you might have to bare Ads Pop-ups. One of the best lightweight emulator available in the market. Ripple is lightweight because it’s an extension of the Chrome web browser. So over here you don’t need to download heavy data. The extension also inherits many functions & features from iOS Platform. Ripple can help you run & develop various iOS apps as well as games. Ripple is a cloud-based iOS Emulator & you can run iOS 1 to iOS 11 on any computer. So, best for testing apps & for new app developers. I must say that RIPPLE is the best alternative for IPadian & IPad Simulator. 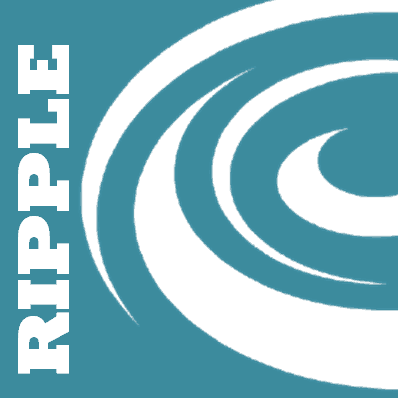 Ripple’s User Interface isn’t as good as IPadian’s. Microsoft owned XAMARIN stands at #3 in our list. Being Microsoft owned you can expect its better performance on Windows. Xamarin Testflight is updated regularly that enhances the comfort of the user. You can expect improvement & fast performance in upcoming versions. The software allows you to test apps & if your app is going to be published on app store then you might like a demo of “Beta App”. The only drawback of this software is “iOS 8.0 or above version compatibility”. You cannot run apps based on less than iOS 8.0. This app isn’t available for free; you need to pay at least $25 per month. iPhone Simulator can be considered an alternative for IPad Simulator. The name “SIMULATOR” might create controversy between viewers but don’t worry it performs like an emulator. I would recommend the iPhone Simulator for people who want to play games & experience the iPhone’s interface. Ideal feature about this emulator is “GRAPHICS QUALITY”. The software is free but only compatible for WINDOWS. MAC Users, it’s not for you! Coming to drawbacks, you won’t be able to use some apps. Apple’s Safari Web Browser won’t work in this Simulator. In simple words, you have been limited a bit. But for FREE that’s a good deal! You can enjoy an iPhone’s user interface before buying 1 for you. SMART FACE stands on #5 in our list but still, it’s an excellent emulator. I would recommend SMART FACE to new app developers. 1 unique feature offered by SMART FACE is; Drag & Drop interface. You can code an app using “SMART FACE STUDIO” on windows & that can be transferred to your connected device via “DEVICE EMULATOR”. But connected device should be iOS powered & should have SMART FACE app installed. Damn effective app for testing & running apps. 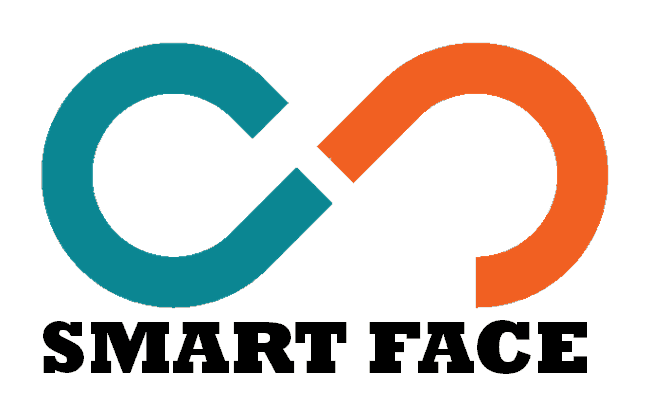 SMART FACE is available as trial version & paid version. You can get the PAID one for $99 onwards. App.io is usually compared to Appetize.IO. If you want to test your app at Beta level then this software can be best for you. The software is basic to use & has easy User Interface. You can send online demos to your customers or investors directly to their browser. The software runs on HTML5 that ensures fast processing speed & user doesn’t even need to install Flash. Users will be prompted by “CTA” that will redirect them to your application in the App Store. However, uploading is slow & might take 30 minutes depending on your Internet speed. You only get this software free for 7-Days. Accessible from Window, MAC, Android, etc. APPETIZE.IO stands on #6 in our list because of it’s one of the lightest emulators. Appetize offers you, online emulator, you don’t need to download any data or setup. You just need to create a free account on Appetize official website. This software won’t be the best choice if you are thinking to start developing your app over here. Appetize won’t offer you IDE to develop your app so you need to build your app somewhere else & upload on Appetize for testing. Appetize is only free for the first 100 minutes. You can use Appetize but you would be charged $0.05 per minute if you exceed their FREE LIMIT. 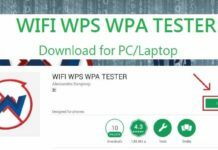 So I would recommend you this software if you want to test apps. OTHER PAID PLANS: This plans might differ according to Appetize.IO, Premium Info nowhere states that this plans won’t differ. 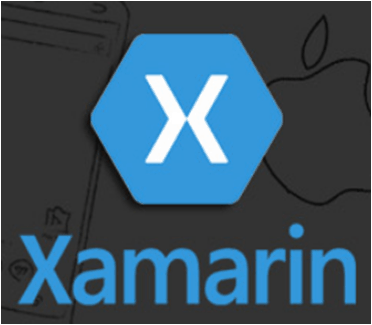 XAMARIN is a well-known iOS emulator for PC & widely used by developers. The software is capable of creating & executing iOS Apps. You can create your own app using C# Programming Language. You also get IDE that you won’t get in Appetize.IO. Xamarin is available for Windows, Linux & MAC. You also get the latest tech advancement because of “Xamarin Test Cloud” that is capable of automating the testing of iOS apps. Xamarin allows you to share 75% of app logic code. Xamarin is often recommended for developers to make their work effortless. The Air iPhone Emulator is developed by Adobe. The Air iPhone Emulator is essentially an Adobe AIR programming application that gives the interfaces of an iPhone and can be utilized to execute the iOS app. You just need to download the software from Adobe. You can execute pre-introduced iOS applications reporting in real time iPhone emulator which gives you the best quality direct feel of utilizing an iPad or iPhone. But apps might be limited i.e. you won’t get all apps on AIR iPhone that you might get on an actual iPhone. Nintendo 3DS Emulator was released in 2010 & was a hit in iOS gaming. The software is built with high-quality graphics & every gamer might wish to play. Also, you get great gaming consoles. You would probably like this emulator for its 3D Graphic & high resolution. I would recommend you this software if you love gaming & want to try iOS 3D games. You won’t need any external software or hardware, just get this emulator & GET-SET-GO! We have placed this emulator at #10 because it’s basically for gaming. Electric Mobile Studio is one of the best iOS emulators. But considered to be expensive & everyone won’t choose it. But this emulator helps you develop apps using several different languages of your choice. The emulator is quite heavy according to data & might consume ram accordingly. The plans might start from $40 but if offers might vary the subscription price. If you really want to spend some bucks on emulators then you may try its 1-week trial version. 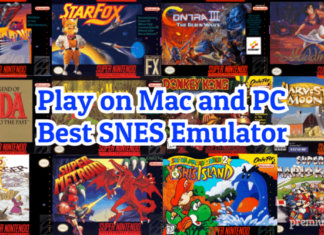 So these are top 10 and best iOS Emulators for PC (Windows & Mac). If you still have any other emulator iOS don’t hesitate to comment below. Don’t forget to Follow us and Subscribe.